Making big money doesn’t always mean neglecting ethical business practices or environmental responsibility. There are lots of successful and continuously growing businesses who make their goal to reduce carbon footprints by utilizing cost reducing and energy efficient technologies. Socially responsible mutual funds use multiple social and business criteria to analyze companies and include them into their investment pools. If you are a highly ethical investor, rest assured that you will not see any “sinful” businesses within your socially responsible mutual funds portfolio like companies involved in defense, gambling, alcohol, tobacco or adult entertainment industries. By buying mutual funds that focus on socially responsible business practices you will not only ensure long terms gains but help build a better environment for future generations. Since social responsibility is a very broad term and might mean different things to different investors, some socially responsible mutual funds focus their investment strategies on separate categories like, for example, alternative energy mutual funds or green investment funds. 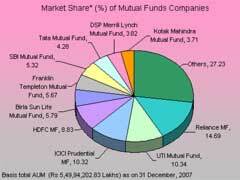 It might get really confusing to pick good mutual funds that can help you make money while remaining good citizens. Investing in socially responsible mutual funds will definitely cost you more compared to traditional mutual funds due to more extensive research costs that are involved to help them screen companies. Make certain to cross check various socially responsible mutual funds as to their load fees, account charges and overall costs. You definitely want to make certain you are investing in a well-run mutual fund, so research fund managers’ track records heavily. Lastly, it is important to maintain socially responsible mutual funds diversification by investing into funds that work with various sectors of the market.